Godolphin's chances of making a clean sweep of this season's Group One races for juveniles in Australia is over after the decision the bypass the Champagne Stakes with Flit. Flit was the only Godolphin-owned two-year-old nominated for Saturday's Champagne (1600m) at Randwick but her trainer James Cummings and Godolphin have decided to send the filly for a spell. 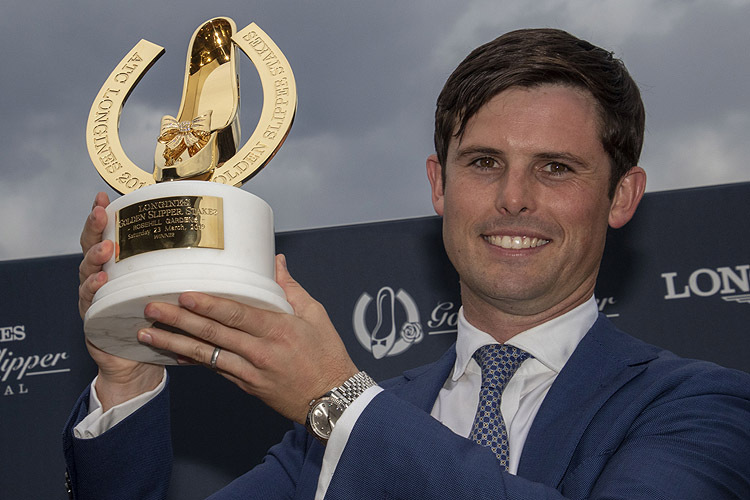 Godolphin-owned two-year-olds have won the Blue Diamond Stakes (Lyre), Golden Slipper (Kiamichi) and ATC Sires' Produce Stakes (Microphone) this season with the Champagne the fourth of five Group One races for juveniles in Australia each season. Flit finished strongly for second in the Percy Sykes Stakes at Randwick last Saturday and would have had to run on a seven-day back-up and step up to 1 m in the Champagne. "Flit is going to go to the paddock," Vin Cox, managing director of Godolphin in Australia, told RSN927 on Wednesday. "We just want to look after her long-term future. We see her as potentially our best filly going forward. Obviously her run last Saturday in the Percy Sykes was quite outstanding and she's got miler written all over her, but we want to test her at a mile a bit later on." Sires' Produce Stakes runner-up Loving Gaby is the early $2.80 favourite for Saturday's Champagne which has a field of 12. Loving Gaby has barrier seven while fellow Sires' Produce Stakes placegetter Castelvecchio has drawn barrier four.